Section 31, the covert organization which has operated without accountability in the shadows for more than two centuries, has been exposed. Throughout the Federation, the rogue group’s agents and leaders are being taken into custody as the sheer scope of its misdeeds comes to light. Now Starfleet Command must decide the consequences for numerous officers caught up in the scandal — including Admirals William Ross, Edward Jellico, Alynna Nechayev, and Captain Jean-Luc Picard who, along with many others, are implicated in the forced removal of a Federation president. 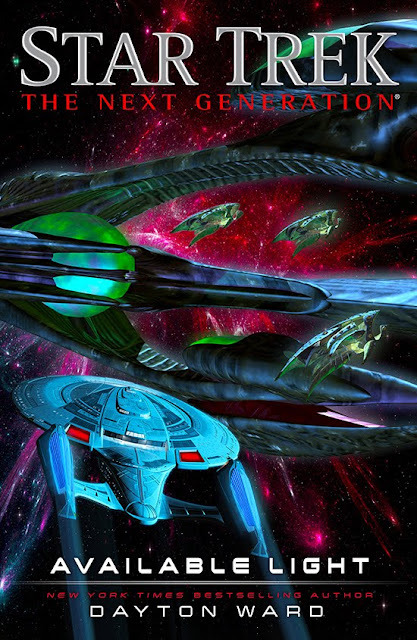 Simon and Schuster Audio have released most of the recent Star Trek novels as audiobooks, although generally they have only been available as a download format. 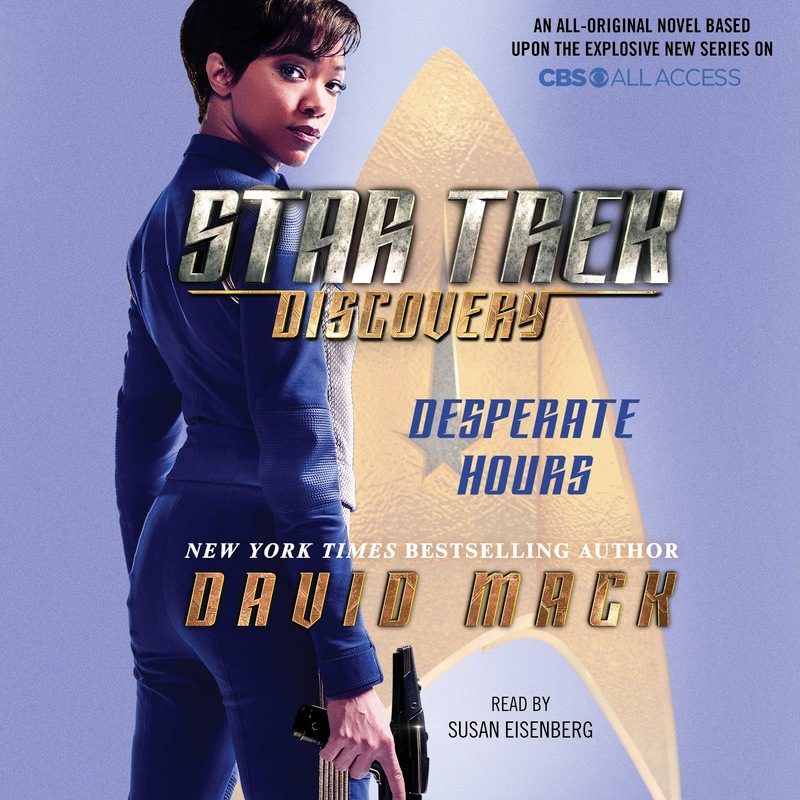 But that appears to be changing now, as Blackstone Audio have partnered with Simon and Schuster to now offer CD editions of most of the Discovery novels. 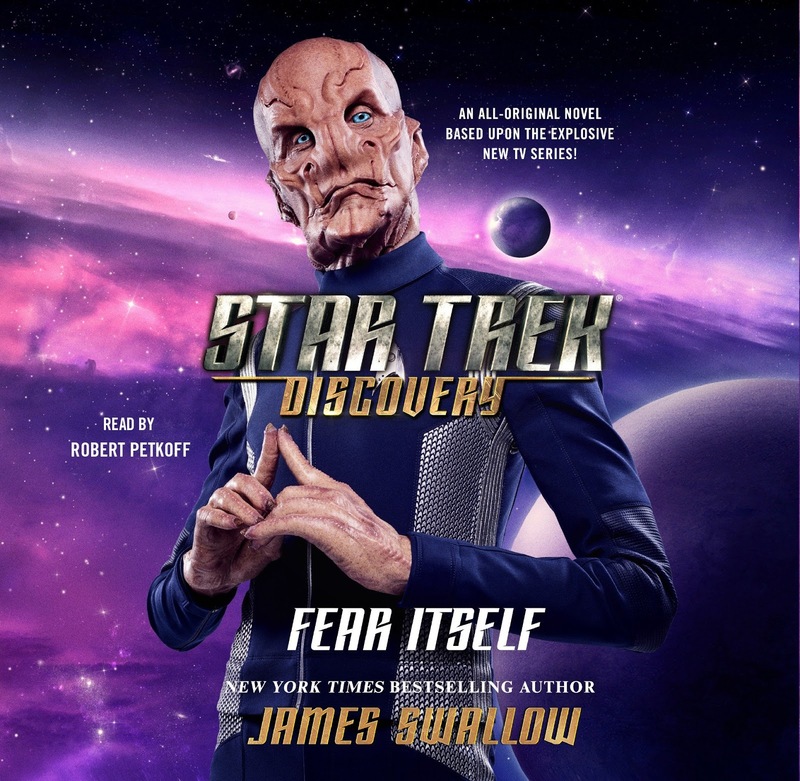 This actually appears to have begun with the third book in the series, James Swallow's Fear Itself, which got a simultaneous CD release when the book was published in June (without my noticing it!). 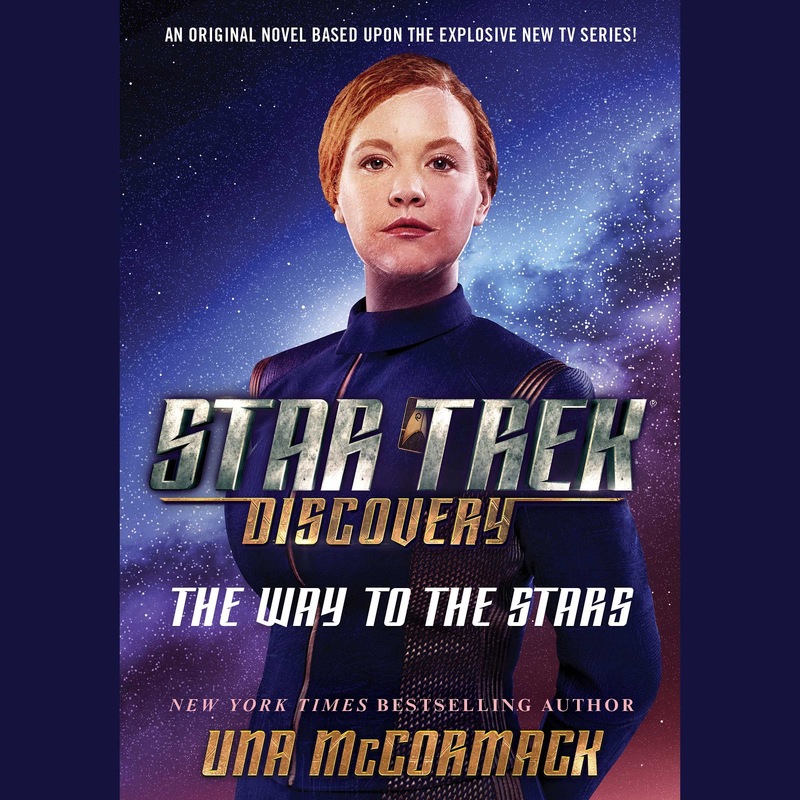 The next book Una McCormack's The Way to the Stars will similarly be released on CD alongside other formats when the book is published in January. 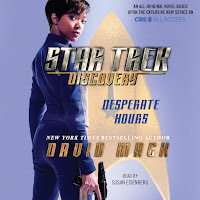 But Blackstone are also dipping back into previously released books, with David Mack's Desperate hours due to be released on CD in December. Which leaves just Dayton Ward's Drastic Measures currently not offered on CD. Fear Itself has a very slightly different crop to its cover for the CD release, while Desperate Hours uses exactly the same art as the download edition. 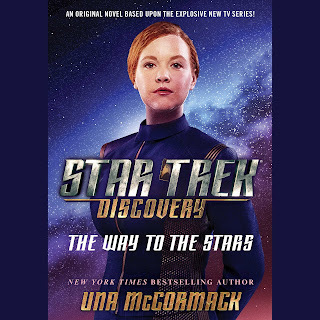 The Way to the Stars also seems to be using the same art in both formats in it's recently revealed audio-cover (although I rather hope this current not-extended-to-square design gets updated before publication, it will need to be to add the narrator credit at the very least). To keep track of all the latest releases, hit the prose or books buttons on my 2019 schedule page. You can also find series reading lists and author bibliographies on my dedicated Star Trek lists site. Has the site gone to a hold?